On this island every day is a getaway! 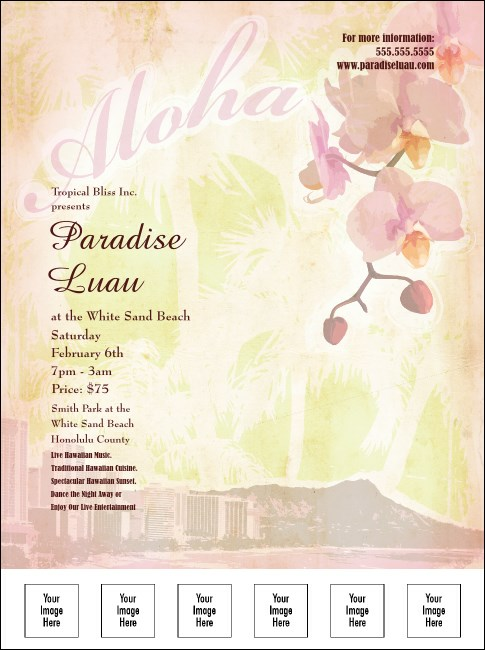 The Honolulu Flyer, lush with pink flowers, tropical foliage and a classic image of Waikiki beach, is a wonderful way to promote your next Hawaiian or beach themed event. Customize this flyer with six spaces to upload your images. Complete the tropical experience! A matching Event Kit is available through TicketPrinting.com.